“Respect, experience, depth, quality, confidence, assurance and efficiency were all used regularly to describe the Scottish subsea engineering industry,” said the report by consultancy Xodus, on behalf of Scottish Enterprise. “The breadth of experience and the depth of the talent pool is seen as a key factor to the success of the region,” the report’s authors said. Due to the age and the variety of North Sea infrastructure, Scottish engineers have tackled challenges that some other international subsea hubs are yet to experience. “This has led to Scottish engineering being desired worldwide,” says the report. Aberdeen hosts tier one and two contractors and myriad smaller companies offering a huge spread of capabilities. It compares very well with other major subsea centres, notably Norway, Houston, Malaysia and Rio de Janeiro. “Scotland is very much a base from which a lot of these companies operate internationally, whether directly with clients, or via local satellite offices,” the report said. “While many of the hardware suppliers have set up additional facilities in other regions to reduce costs and comply with local content rules, it is firmly believed that the engineering of new products and complex evolutions are driven from the Scotland offices. “The Scottish sector is perceived as being on equal footing with Norway. “There are areas where Norway excels, including diverless technology and subsea hardware manufacture. A key competitive advantage for Scotland raised by several Norwegian respondents was the openness of Scottish engineers to experiencing other regions. This is something the Norwegians don’t have and envy. But there are worries. While the UK has forums for sharing best practice, their effectiveness is often curtailed by commercial or legal restrictions. Improving integrity data sharing between operators is paramount to ensuring Scotland remains at the forefront of the inspection, repair and maintenance (IRM) market. In this regard, the development of intelligent pipelines, fibre optics and sensors is key to ensuring continued success. For now, Scotland has the technology, infrastructure and know-how to exploit this market further, but for how much longer? It seems that innovation remains strong in Scotland. But while there is a strong support network for companies, “whether the landscape for support is completely understood by the industry could be questioned”. Funding support at the early stage of the commercialisation journey is strong, with many avenues available. But there’s a clear problem. To its disadvantage, the UK does not have a national oil company. NOCs characterise most oil nations, but not in the UK, where the emphasis is on a free market characterised by short-termism. 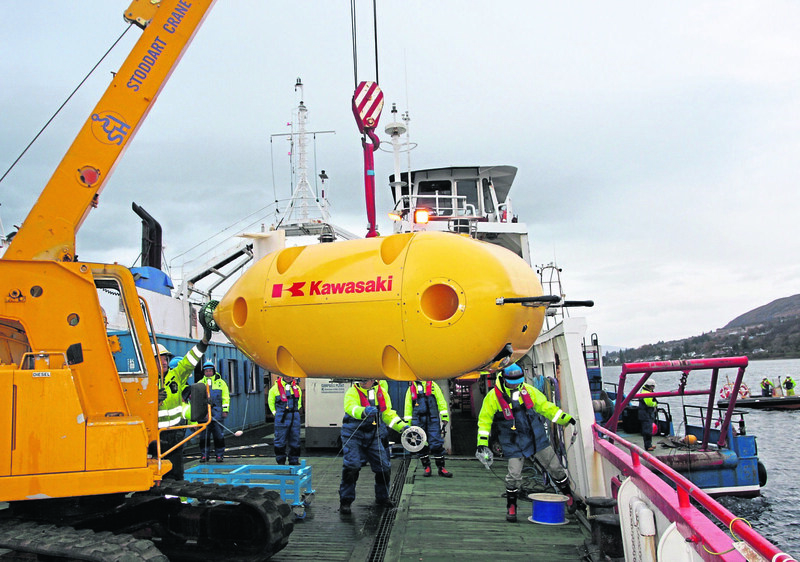 IRM, often involving remotely operated vehicles, is one of Scotland’s strong cards. It is bread and butter work that can deliver a decent living. AUVs remain saddled by a major problem – battery life is still measured in hours. Work has been carried out to develop renewable-powered AUVs, but none of it has reached commercialisation. So, might the eureka solution come out of Scotland? Oil and gas IRM can crossover to offshore renewables, another sector that wants to lower inspection costs and understand more about corrosion. And so to decommissioning. Whichever way it is sliced and diced, the cost of North Sea dismantling is huge. It also presents technical, execution, market, socio-political and organisational risks. The Xodus report said: “A common risk is where facilities have changed hands and collation of sufficient data of the core structures is inadequate, leading to greater uncertainty. In decommissioning, best available technology (BAT) assessments are conducted for each field, so new innovations are looked at and can break through if they are valuable. Well plugging and abandonment (P&A) is the biggest market that can be exploited by the Scottish subsea supply chain. P&A typically constitutes 40-50% of offshore decommissioning costs, so each company’s approach plays a significant role in lowering the bill. Many operators have opted for P&A procedures that go far beyond the minimum regulatory requirements of the countries where they operate. And many regions around the world are adopting standards set out by Oil and Gas UK (OGUK) rather than developing their own. This presents a significant opportunity for the Scottish supply chain to export its expertise in emerging decommissioning markets. Unfortunately, there is a perception that a lot of decommissioning business is not being won by Scottish and UK companies. But there is hope. “With a significant percentage (50-75%) of decommissioning costs being borne by the UK taxpayer via tax refunds, it is likely that there will be political pressure exerted to keep these rebates within the UK/Scottish economy,” the report authors said. While oil and gas development and operation has provided most subsea engineering experience over the last 40 years, we now have other subsea industries emerging. Offshore wind construction in the North Sea is booming. Each of the many thousands of turbines now at work represents an IRM opportunity, including a subsea element because of cabling and foundations. WindEurope expects a total capacity of 70GW of offshore wind energy by 2030 in its central scenario. Most of this capacity will be in the North Sea, with almost 48GW. Turbines are getting larger, farms are being built in deeper and more challenging locations and floating turbines are now a reality. Wave and tidal capacity is miniscule, but Scotland is home to the European Marine Energy Centre (EMEC) in Orkney, which is widely considered the world’s leading marine renewables testing facility. Simec Atlantis’ MeyGen project in the Pentland Firth is the world’s largest planned tidal stream project. While the industry is in its infancy, there is a high level of interest. More than 25% of Scottish engineering firms boast capabilities in the marine renewables market.